So says a 1935 book called ‘The Psychology of Radio’. The book was written in America, back in the days when radio was but a small child, and self-appointed experts were penning articles and posturing about it. Just as they do about this digital thing nearly eighty years later. It’s a fascinating read. It makes mention of an impressive early experiment, conducted when there was an appetite to understand better this new fangled thing. An evangelist gathered an audience and preached in a hall. His sermon was relayed by sound only, as if a radio broadcast, to a neighbouring hall. As the call came for the congregation to step forward and participate, the genuine assembly started to take action. Members of the radio audience in the second hall were not motivated in the same way. They stood there like lemons. The author explained he felt this was not through some flaw in this otherwise miraculous medium, but simply because the vocal delivery on radio needed to be different. In structure, it was said that a live speaker works for “immediate rather than long-run results, for emotional fervour rather than for future action”. “A radio spellbinder would have spoken quite differently. He would have used less bombast and more artistry, less brute force and more cunning. He would have directed his attention to the invisible audience and would have made each listener feel welcome as a member of the circle. He would have aroused the listeners' sense of participation in the occasion. 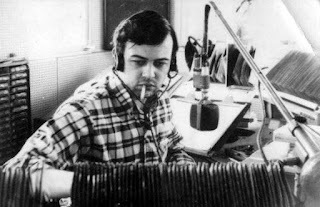 "Friends, this is Huey P. Long speaking.."
All those years ago, the authors (Hadley Cantril & Gordon Allport) had already recognised that radio was a one-to-one thing; and you had to address a single listener as you spoke if you really wanted to motivate. “In the minds of the listeners (radio) places music in the preferred position among radio program(me)s.
It frees the listener from the necessity of conventional politeness toward public performers. It interposes a serious psychological barrier between the broadcaster and his audience through the destruction of the normal circular relationship. It virtually eliminates social facilitation among the auditors with the result that they are less crowdish, more critical and individualistic”. Witness the medium’s educational prowess too. The publication suggests that radio improves the capacity of the average man to listen. And even “probably increases the vocabulary of the average listener”. “Although there is a prevailing tendency to use the radio as a background for other tasks, when the dial is turned to a specific program and when attention is directed fully to its message, an auditory training is provided for millions of people and its long-range effects may be exceedingly important. For increasing the world's population of "good listeners" radio deserves an extra star in its crown”. So, if the boss ever tells you to stop streaming Gem 106 at your desk, just smile patiently and assure him that it’s training you to listen better to his wisdom. “Take, first, the case of the housewife or the student who is completely preoccupied with work. The loud-speaker emits its stream of sound, but it falls on deaf ears. The distraction is completely inhibited. As long as attention does not shift, the radio's effect, if it has any at all, is entirely subliminal. In such a case the effort required (and unconsciously exerted) to overcome the distraction may actually enhance concentration on the task in hand.... The stronger the potential distraction the greater is the compensatory attention”. “However, attention is at best a restless thing, always waxing and waning, and shifting from one focus to another. 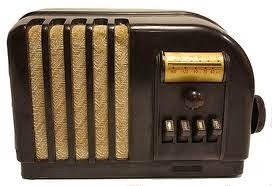 The sounds of the radio are seldom inhibited for more than a few minutes at a time. The mind wanders from the task in hand to the distracting sound”. “The Nazi propagandist minister, Goebbels, uses it ubiquitously to spread the doctrines of Hitler and says that ''Some day the radio will be the spiritual daily bread of the whole German nation." “About one-third of the children say that they lie awake in bed thinking of things they have heard over the radio. The same number report that they frequently dream of radio plots : three- fourths of these dreams are nightmares”. “ The advertising appeal is ingenious and effective. It is directed toward the child's desire for physical superiority (victory at games and ''pep"). It comes just before the supper hour when hunger facilitates mental associations pertaining to food. It arouses the powerful motive of sympathy and compassion by asking the child to tell his mother about the product... Through repetition, tedious to the adult but interesting to the child, the association between the fantasy of the story and the product in question is indelibly established”. So, the truth is out. In implementing 'The Future of Radio' in 2007, OFCOM just copied and pasted from this 1935 book for its Localness Guidelines. By the way, according to the 1930 US census (which likely enjoyed jolly COI-type ads saying “fill in the form y’all”), there were suggestions that 70 per cent of homes were, were “supplied with radios”. If the behavioural assertions above are to be believed, the rest of the homes contained thick Americans with fairly chilled kids. This is amazing. Average listening time was 19.6 hours a week. In 2014, it is 21.5. The sample size was 507, by the way if Ipsos/Mori are reading this. Popular programme elements included ‘Dance Orchestras’ at Number 1 in the chart, followed by football and symphonies. Wow. It’s commercial national radio. Absolute, Talksport and Classic. Sports and old songs are in there too, in the next two positions, so thank goodness we have Smooth. Least popular thing? “Advertising messages”. 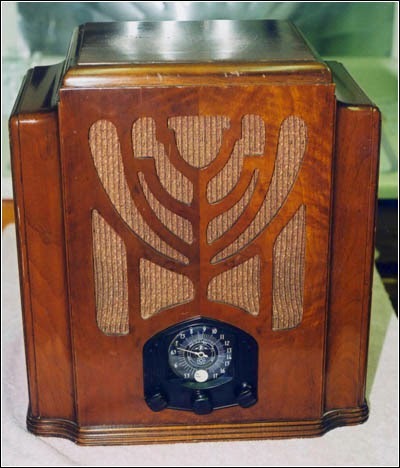 How many stations in the listening repertoire back in the 1930s? “The average listener is not accustomed to tune in to all available stations. His habits at the dial are likely to be rutted: 5.6 per cent listen regularly to only one station while 76.6% per cent never listen to more than three stations”. All these years later, the ‘habits at the dial’ of the average punter are much the same. There’s some handy listener research, suggesting that 84% preferred music programming, with the remainder opting for speech. It also suggests that speech is used as foreground listening and music as background. Forgive me for just lapping up the experiments on presenter voices, conducted by WEEI in Boston involving the tones of twenty-four male (but of course) speakers and over six hundred judges. They sought to establish whether people could judge appearance by a voice. We must try that trial again. A great contest for your breakfast show, maybe. They found that it was challenging to establish height from a voice, although some favourable results were uncovered owing “primarily to the case of a short fat man whose voice was thick, mellow, and "chuckling." . Give that guy a job on Radio 2. Photos and voices were matched with some success as was political preference. Close your eyes. Listen to Nick Ferrari and try to establish which way he votes. I shall leave you with a brief glimpse into Chapter 7. They resorted to another fab experiment with men and women reading articles into a microphone and respondents were asked to score on various factors. "Women were found to be rated higher in some qualities and men in others. In general men are judged to be more natural and more persuasive. Except in poetry and abstract passages, the listeners felt that men took more of an interest in the material they were broadcasting. In four out of seven experiments, women's voices were judged as more attractive". How far have we really come in 80 years? Radio Nightmares. Do you get them? It's the worst show ever in your career. Nothing works. No guests turns up. You can barely speak. Thank goodness - it's just a vivid dream. One in which all the things which have ever gone wrong in your on-air career all do. At once. And the things which might have gone wrong also do. It's a recurring nightmare for me; and I gather from many friends in radio, it's a common burden. In mine, I'm sat at the mixing desk on the swively chair. It must be the 80s, as I'm playing vinyl. At least, I'm playing all the songs I can actually find - for some reason there aren't many in the studio. The ones I can grab are all tracks I have never heard of. There is accordingly a real fear that I just won't have enough music for the show. I resort to B sides, dumping the needle on the disc in panic actually as I speak. It lands half way through the unknown track, perilously close to the run-out grooves. The painful detail is remarkable. The news jingle is 13" long, but the second hand on the studio clock appears to be moving more quickly than usual, and I miss that crucial point at which I should have fired the ident. Damn. I can speak, but not properly. For some reason, amidst the carts and other 80s ephemera, our current Free Radio (Birmingham) travel presenter, Chiara, pops in and leans over my microphone to chip in. I fear indulging in conversation to fill time because she is not known on all the network frequencies I'm broadcasting on. Even in my dreams, 21st Century complications crop up. They say that dreams are a way of the brain performing a computer audit. I fear this one is more akin to a Blue Screen debacle. Time for a de-frag. According to Twitter response on this theme, @DanielJOwen is more like me in his dreams than he is in his politics: he also runs out of vinyl singles. @Matt is a touch younger and his dreams are typically digital: he's frantically tracking down the next CD for Classic FM. 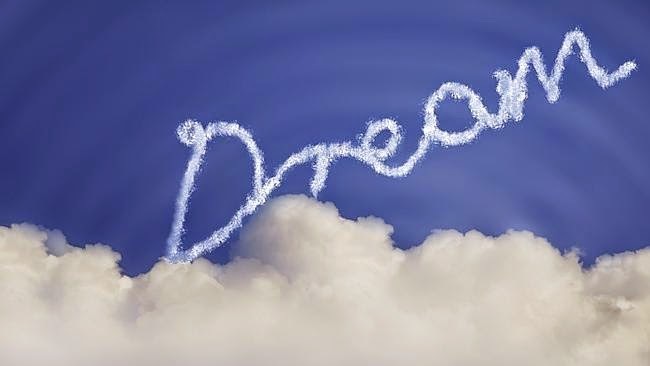 Thinking about it, relaxing Classic FM programme dreams must be a little less onerous than CHR dreams. Mind you, @Alan Matsell is always late for his show in his dreams, and he's missed the 'news-in' completely. These colourful adventures are clearly related to one's specific route in the business: @RadioMikeHill recalls his Studio Manager days. Staring through the glass seeing a presenter's lips move, but even he cannot get a peep through the desk. Turn it off and turn it on again, Mike. @Ian Deeley hasn't had one of those dreams for a while, but he remembers them. @SuekCraft is on nocturnal production duty, although sadly the guest she has booked has not turned up. She's on the phone trying to get another contributor who's been inked in as a phoner. Guess what. They are not answering either. The talented @Breathwick is on duty in the newsroom of her dreams; frequently waking up sweating from the 'faders aren't working' nightmare'. I'm sorry we cannot bring you that report either. Nor this one. Like me, @JamesCridland has not been at the front end of a desk for some years. Yet, inexplicably, the aged dreams persist. The dream exhausts you. No definition of it ever appears in any of those tacky 'dreams explained' books You wake up - just appalled at your performance. And you don't even get a show fee. Thank goodness we don't do important proper jobs. Hello to all those doctors and pilots out there. What should a BBC Local station do on by-election night? Last night the Nation’s eyes were focused on one of the most dramatic by-elections in recent history. The major parties were at risk of being tossed aside in favour of a newcomer. In a foretaste, potentially, of a dramatic General Election, here was a significant moment in Newark. Just after 1130 p.m, I thought I’d check in to see how things were going as polling day ended and the votes began to be counted from the battered black boxes. As this was a single election, I turned to BBC local radio for my quick update. I anticipated that the results would not yet be in, but that we’d get the usual early chatter and indications. The ‘historic’ town of Newark sits on the edge of a couple of BBC areas, but given it is clearly a Nottinghamshire town geographically, I tuned to BBC Radio Nottingham for my fix; a station for which I have huge affection, not least because it belongs to my home-town. In any case, the content at that time of night is usually regional anyway, so I felt pretty sure I’d be brought up to date fairly swiftly. I heard a song. I concluded that the programme was to be a blend of information, other chat and music; and, hey, that would have been fine. 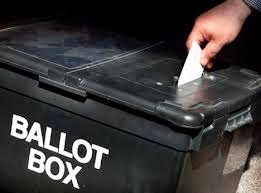 We’ve all been part of dreary election programmes where there is not much yet to say, so I felt a mix of normal content and election updates plus a few suitable songs would may be a defensible option. As the song ended, I heard a jolly mystery sound contest. Then a song, then more mystery sound. Then a song. Then more mystery sound. Then another song (Crispian St. Peters, by the way, was indeed the correct artist name. There appeared to be a tad of confusion from the presenter lucky enough to be younger than me and most listeners). As the County’s 50 plusses moved to their beds, they heard nothing about one of the most significant in recent history on the radio station claiming to serve their patch. The midnight news update would tell me, I thought. There wasn’t one. There never is. The fact there randomly never is a touch puzzling to me. It’s the only hour of the 24 hour weekday when, for some inexplicable reason, the BBC reckons no-one wants to hear what’s happening - locally or nationally. I reckon that last bulletin as you go to sleep is pretty useful. Late bulletins used to be extended in days gone by on many services. On this night, at least, I thought someone might have agreed a news update would be a pretty good idea. It’s where casual listeners would expect to find it. But they didn’t. So, after the midnight hour and the Isley Brothers, suddenly, I was alerted to the prospect of ‘a recap’. ‘Ah’, I thought, ‘here we go’. But no. It was a recap on secret sound before more chatter about leaving gifts. For a network operated under the umbrella of BBC News, this whole approach puzzled me. At last, at about 1225, we were treated to a report from the Count. I knew they were there, because they were Tweeting merrily, which I am sure was useful to the significant proportion of BBC local listeners 50+ who use Twitter actively. I also knew they’d be there because I knew the station would do a stunning job in the morning when, I agree, the bulk of the audience lies. But listeners do not often stay around for an hour for a sniff of what they seek. Hearing nothing from about 1130 to about 1220 ( I later uncovered a report at about 1120, before I’d listened) might lead any normal listener to feel that the station was not across this story and give up. There was nothing wrong with the presenter’s performance that night: the jolly chit chat is fine at that time of the evening. It is just that on this key night, I imagined there would have been some management and production direction to say something about the election every now and again. 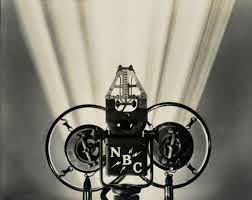 There should certainly have been a midnight news bulletin. Is this a case of ‘too late at night for management to bother about unless journalists get very excited’. I think back to the night of the riots, when the likes of BBC Manchester and BBC WM (and many commercial stations) were live and reflecting unrest in their communities the way they should. East Midlands did not that night. David Holdsworth, head of BBC Local Radio, suggested later to me that I was getting my knickers in a twist for no reason: there were not any riots in Nottingham. He was wrong. There was violence – and there was fear. It was a frightening night in the City. Thankfully not to key urban levels but real unrest. My dad was worried. People were looking to their local station for reassurance. They got a phone-in on Elvis lookalikes. If you are going to claim to be part of BBC news, you’ve got to do it when it’s a bit late sometimes. In capable hands, the tone of a show which is usually fun banter can easily nod to something more serious when needed. We all get things wrong on our stations. I know that more than most. But a pending period affords you the time to think about getting it right. I hope those whose jobs it is might, this morning, reflect on whether the late show could have been produced to make sure the election was mentioned every now and again – so listeners could hang around, safe in the knowledge that a formal update would follow. They might also ask whether or not a midnight bulletin would have been a good idea on one of the most significant nights in recent electoral history.